Saturday’s Weed steps out with friends. Feeding her fun side is essential to keep her in balance! She looks for those who will boost her up and help her celebrate the balance between her silly and serious endeavors, recognizing that we all have more than one facet to our personality. Her friends are ones who share her values, her dreams and her journey up the ladder in life towards her goals. With those friends she feels akin, recognized, understood and recharged. She can shine and so can they! 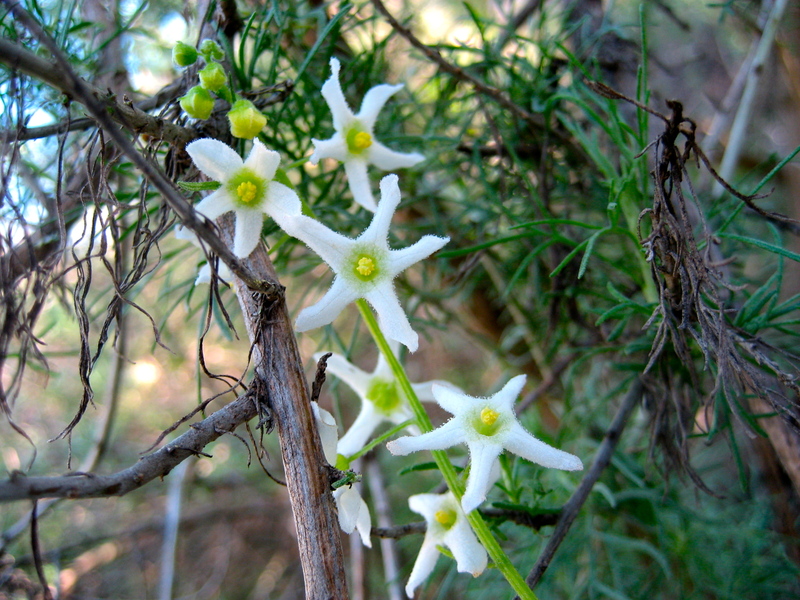 What a flirty group they make, the five-pointed weed flowers, jauntily posing on a vine! They celebrate the exhilarating rush of freedom they enjoy when no one questions, no one second guesses, and no one denies support. They all just accept each other for the kindred spirits they are! On a Saturday this weed can let off steam and relax a bit in companionable sisterhood with her pals! Every connection and shared emotion gets her recharged so that her thriving and striving can continue on. Yesterday she stood out from the crowd but today, Saturday’s Weed is happy to be one member in a supportive and fun group! Saturday’s Weed will remember these days always. They will be the memories that lift her up and support her through the tough times. She will forever feel charmed and blessed by the laughter she shared while hanging on a vine. Life is a party, so let’s celebrate!